It’s a telling observation. In a country where there is plenty of space and a sense that anything is still possible, “Have a go!” is not just something shouted at a slow-scoring English batsman at the cricket; it’s a national ethos. Inequality does exist here. Of course it does, tragically so in some places. But comparatively there are fewer barriers, social or otherwise, between a person and their aspirations. The Organisation for Economic Co-operation and Development’s Better Life Index — or the Economist Intelligence Unit’s even less subtly named ‘Where to be born’ index — have always ranked Australia near the top, and the country has a more even spread of wealth than most. We have a name for that, too. It’s called giving everyone a fair go. In a world where the differences between cultures are becoming more superficial, this is what probably still sets Aussies apart: a tendency to treat everybody the same. Friendliness is simple and direct. Aussies are no good at showing deference. Instead of being greeted with “sir” (or “madam”), it’ll be “mate.” The lack of what some may call “airs and graces” can be jarring. But Nate Doss and Valarie Jenkins felt right at home in 2010, being such down-to-earth folk themselves. The visiting PDGA world champions spent their first night in Australia camped in a tent in the backyard of Dave Bandy’s place. The visit of Doss, Jenkins, Dave Feldberg, and Manabu Kajiyama to the Australian Championships in Perth in 2010 was one of the sparks that lit the fire of the sport here. 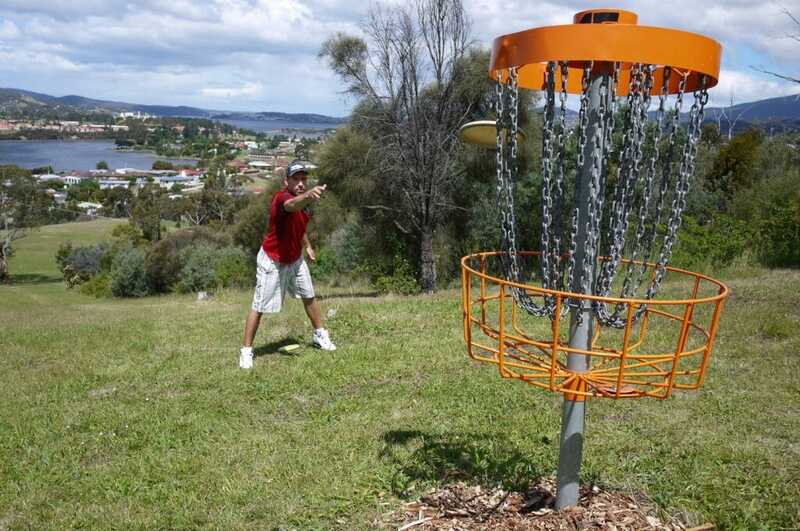 Now disc golf in Australia is showing all the signs of a wave about to break. But looking at this recent uplift in numbers and the sudden proliferation of courses, one question must be asked: Why did it take this long? ­A sports-mad country, relatively affluent, a surplus of open space and a climate that encourages a life outdoors. Yet the sport has been so marginal until now, compared to the other places it has spread, like Scandinavia and Japan. Close neighbours New Zealand have a disc golf scene that’s probably 10 years ahead. Why weren’t more Aussies having a go? The answer? Just look at the country on a map. The island continent has a population less than Texas, scattered over an area comparable to the U.S. mainland. Distance and isolation make it harder for disc golfers to meet other disc golfers. 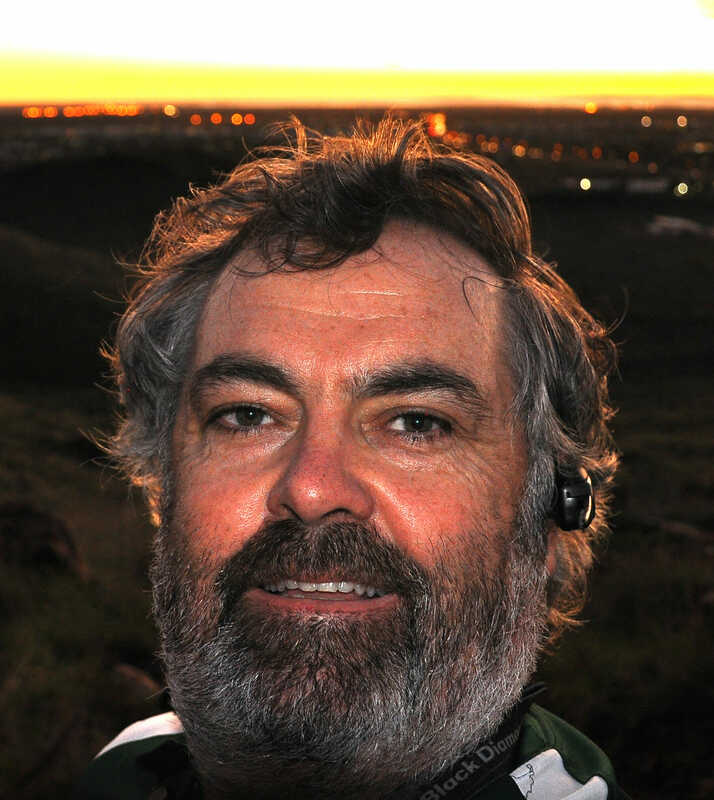 Pioneers like Leigh Bird in Tasmania and Kim Holmes and the late Rob Hancock far out in the west had convinced local authorities to install courses as early as 1985. But for the next two decades their number remained in the high teens and the player base not much more than a hundred. The sport was kept alive by a few loosely-linked fanatics who traded long distance phone calls, emails, and the occasional visit. Then the seismic cultural shift of the mid-2000s arrived. The advent of social media (particularly Facebook and YouTube) and the rise of the Aussie disc golf tribe is too much of a coincidence to ignore. Communication got easier, and so did spreading the word. Disc golfers formed bonds with other disc golfers thousands of miles away and a national governing body, Australian Disc Golf, was formed. Into this gathering momentum stepped a few key people. 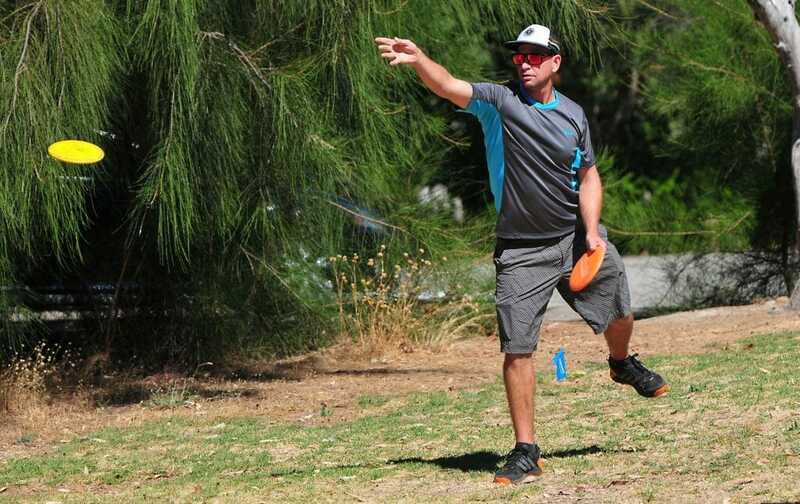 You could never say that Chris Finn, the creator of the disc golf clothing brand DUDE, was afraid to have a go; he was one of the drivers in getting the pros to Perth in 2010. Finn then met Jussi Meresmaa in Japan in 2011 and brought Meresmaa’s DiscGolfPark concept to Australia. After recruiting Andrew Ferguson to manage DiscGolfPark’s operation in the country, and a year or so’s ground work, there were a couple of new courses installed. That trickle has now become a flood. DiscGolfPark has installed 17 new courses in Australia in the last 18 months, and now more than half of the courses in the country carry that brand name. Indeed, the number of registered players with Australian Disc Golf is now close to 1,000. The number of tournament players increases an average of 30 percent each year. Overseeing this growth has been ADG president Neil Roberts, who’s also had a direct hand in seven new courses in his home state of New South Wales. Rick Kapalko, a New Mexico-raised Pro Masters player who now calls Brisbane home, found a very different scene when he arrived in Australia from Boise, Idaho, in 2011. And take off it did. Kapalko is part of a thriving community in South East Queensland that hosts several tournaments each year, holds monthly league events, and sports two new courses. Kapalko played a key role in establishing one of these, Pine Rivers Park. Similarly, in the southern state of Victoria–where the scene was maintained by die-hards like Paul Arden and Greg Bowers, who held tournaments and Australian championships for years without ever having a permanent course—there are now 11 from which to choose. The growth has had some consequences. Public recognition is higher, for one. I can now mention disc golf at parties without having to give “the seminar.” People have actually heard of it. There’s also the curious phenomenon of strangers on the course. In a place where the sport has been small enough for everyone to know everyone for so long, it’s a novelty to introduce yourself to someone new. Many of these friends are disc golf travellers, part of the four million people that fly here for a holiday each year. The foreign visitors might just be a sign of things to come. If the sport is still not long out of the womb, then disc golf tourism is still a twinkle in its dad’s eye. Still, it seems that a growing number of people from the northern hemisphere are mixing disc golf into the planning of their next holiday. So if you are thinking of joining them, what might you find? 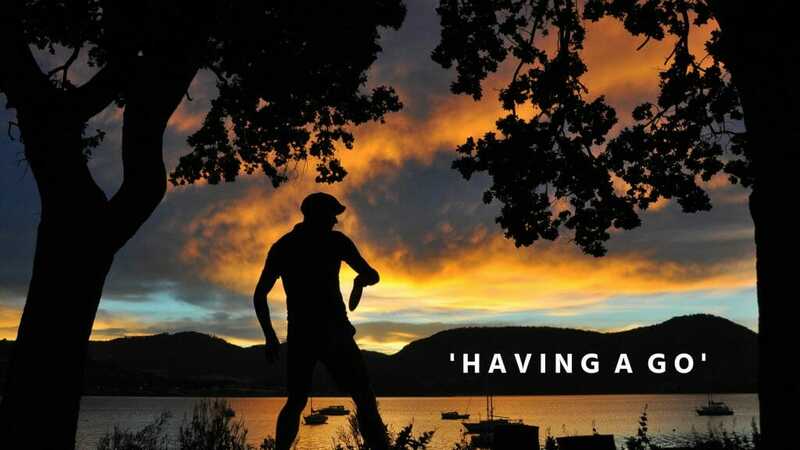 What could a disc golfer visiting Australia expect, apart from a bunch of friendly, direct people who “call a spade a bloody shovel?” The first thing most people notice is the climate. “Everyone is connected with the land and sea in some way or another,” said Jay “Yeti” Reading, who has visited with wife, three-time PDGA World Champion Des, a couple of times. “Australians are keen on the outdoors, so everyone has a tip or two of something recreational to do or see. We really enjoyed the disc golf events and courses we have played in Australia, but may have enjoyed our walkabouts and adventure side trips even more. That, and meat pies on every corner. It’s a big continent, and quite diverse. In the south east corner there’s Pacific Northwest-style rain, damp, and fog. In the mountains you’ll find snow and even ski fields. In the desert you’ll be knocking the ice off your swag in the early morning of a day that’ll end up hot enough to cook an egg on the bonnet of a car. Then, in the north, you’ll walk into a wall of humidity that reminds you of how close you are to Southeast Asia. But overall, what a visiting disc golfer will encounter is bright sun, and lots of it, so bring a good hat and sunglasses, use plenty of sunscreen, and learn to carry an extra water bottle in your bag. And yes, OK, some of our animals do want to kill you. But as an Aussie who hasn’t died yet, I have to say that the lethality of our fauna is a bit of a beat up, amplified by the tendency of Aussies to exaggerate, or outright lie, for humorous effect. Five or more million years of being an island has led to the evolution of some quirky wildlife, too, and it’s not just kangaroos and koala bears. Eighty-four percent of Australia’s fauna is endemic. From the kookaburra, a bird whose call sounds like maniacal laughter, to furry marsupials with duck bills and green ants that build their nests in trees, you won’t find them anywhere else. And yes, OK, some of our animals do want to kill you. But as an Aussie who hasn’t died yet, I have to say that the lethality of our fauna is a bit of a beat up, amplified by the tendency of Aussies to exaggerate, or outright lie, for humorous effect; Google “drop bear” if you want a taste of this. Most of us die from heart disease and car crashes just like the rest of the world. Having said that, my favourite deadly creature to scare foreigners with is the Irukandji, a jellyfish who, if it merely brushes you with a tentacle, will ensure that the most painful 20 minutes of your life will also be the last 20 minutes. But it’s fine. Really, it’s fine. Just a few habits, like being careful while you walk in the bush or choosing which dark places you stick your hand in, and we promise you’ll probably make it home alive. At any rate, as long as you aren’t a surfer, most of the death by cuddly creature in Australia occurs in the less-populated north. So far, all of the disc golf courses are in the south: The 46 courses in the country include those waterside and in park land; on converted ball-golf courses and university campuses; and in rugged bushland, alpine villages, and community parks. The pick of them is probably still Poimena, a course in the southern island state of Tasmania. Nate Doss has played in more places in the world than almost any disc golfer, and he rates it amongst his personal top five. The Tasmanian course is getting some competition, though, as people are saying good things about Pine Rivers in Brisbane and, Mundaring—home of the Aussie Open–is a beast. There’s even a small live-in disc golf resort of sorts, Granite Mountain in Queensland. Oh, and those lovely seasoned DX and Pro D discs that you’ve taken a year or so to beat-in just so? On courses like Granite Mountain, Mundaring, and Pine Lines in Western Australia, the rocks and gravel will have them looking like Mickey Rourke’s face after a single round. Bring some durable plastic. If you can’t visit yet, you can at least enjoy some bright sun and blue skies via the Disc Golf World Tour’s coverage of the Aussie Open this week. A quick perusal of online forums shows that the Aussie Open has its critics: Why hold a PDGA major in the most isolated capital city in the world, out of the reach of the travel budgets of all but the most well-funded pros, in a place where the sport is still getting established? It seems to me that’s what Jussi Meresmaa, Chris Finn, and the others behind this leg of the DGWT are doing: getting into the right spot to catch the big swell. Just waiting to have a fair go.